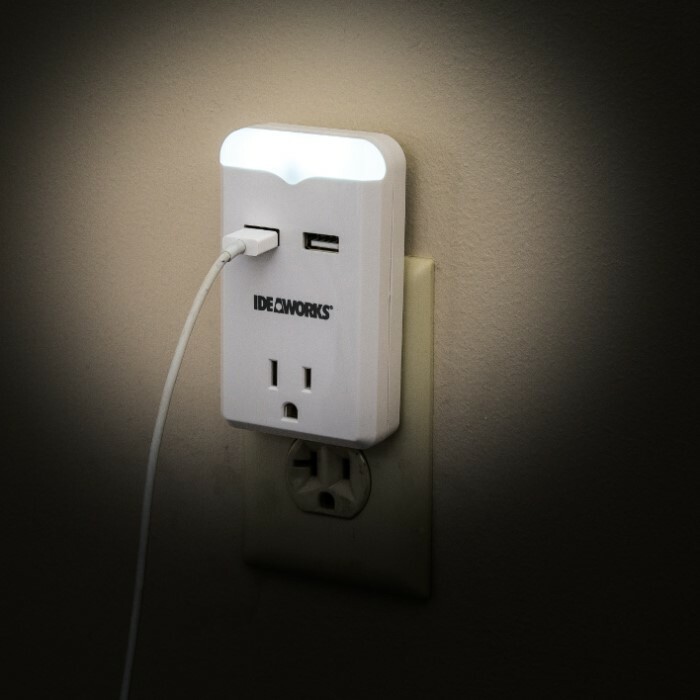 USB Outlet Plug With Night Light - Two USB Charging Ports, Built-In Light Sensor, Only Occupies One Outlet | BUDK.com - Knives & Swords At The Lowest Prices! 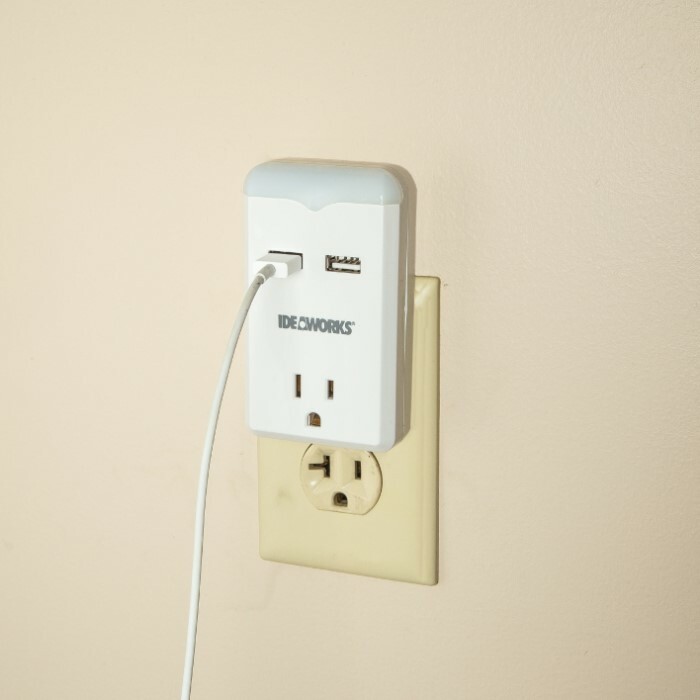 For indoors and in dry locations only, the combination night light and USB outlet plug measures 3 1/2"x 2 1/2"x 1 3/4"
Conveniently add USB ports to your wall outlet without having to hire an expensive electrician. 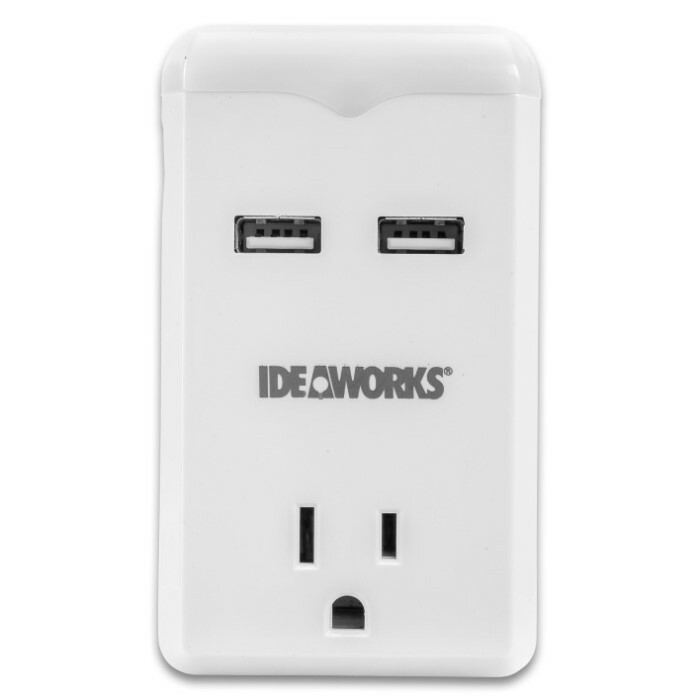 The USB Outlet Plug With Night Light provides two 2.1A USB ports that allow you to charge two devices at the same time. The built-in sensor activated night light, that turns on when it is dark, creates a soft light in a dark room so you can see. 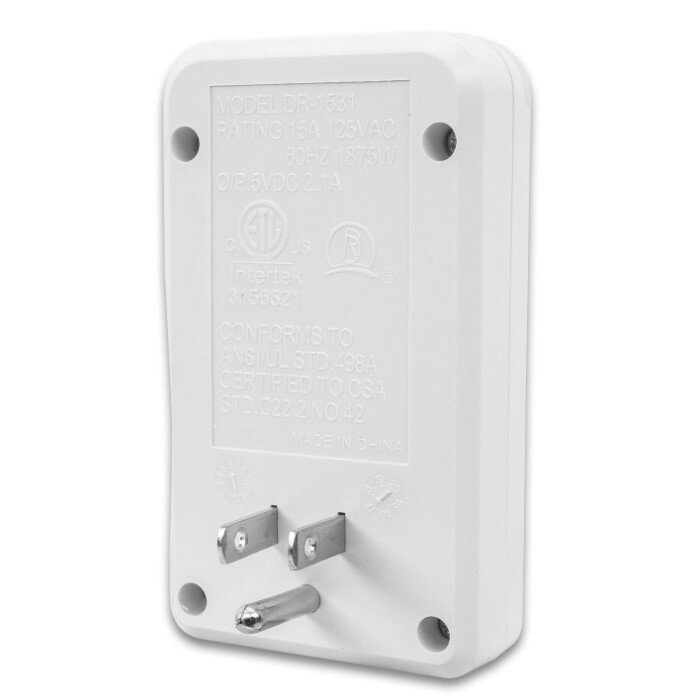 The specially designed shape of the plug only occupies one outlet, leaving the others free. 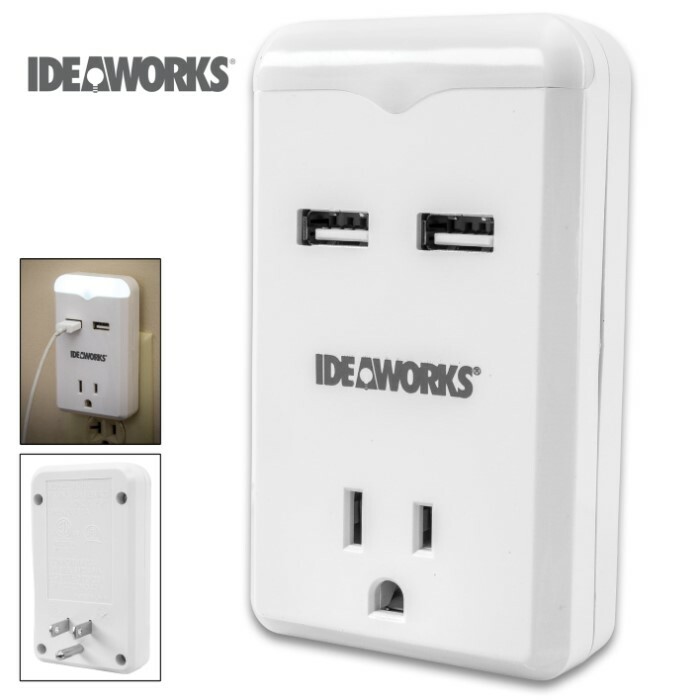 Charge your phone, tablet, Fitbit, and other electronic gadgets in this clever outlet and night light!